There’s only a few days left in 2018! How can that be? I’m sure you’ve heard that the older you get, the faster time passes… and it’s totally true! Well, time passes at the same speed, but your perception of it changes, because a year when you are 5 years old feels way longer than when you are 50 years old. After all, it’s 20% of your lifetime at 5 and only 2% at 50! I started 2018 taking the first pregnancy test of my life and seeing a positive on it. Thus I spent most of the year pregnant and going to the hospital more often that ever in my life. I was even hospitalised for the first time in my then 33 years because of a potentially dangerous-for-the-baby liver condition that was triggered by pregnancy hormones. I absolutely hated being in the hospital because I couldn’t sleep at all and even ended up crying after 4 sleepless nights (and it was only the second time I cried in the whole pregnancy. Those hormones didn’t affect me. Or maybe, like an ex used to say, I have a heart of stone). Compared to being in the hospital, having a breastfed baby who wakes up every 3 hours seems like a breeze! At least I can sleep in chunks of 3 hours! I gave birth on the last day of August and everything went well. After having the baby, my blog posting activity has taken a serious dip as it just doesn’t feel right to ignore the baby and turn the computer on. Well, also because the baby has the superpower to awake instantly the moment I try to get up from the sofa to put him in his crib, so most day naps are slept on my lap. I spend so much time on my phone now… but I also managed to read the whole Harry Potter saga while breastfeeding/acting as a human bed. I wrote a post about my first two months with Baby A., and now two months later things are still more or less the same. 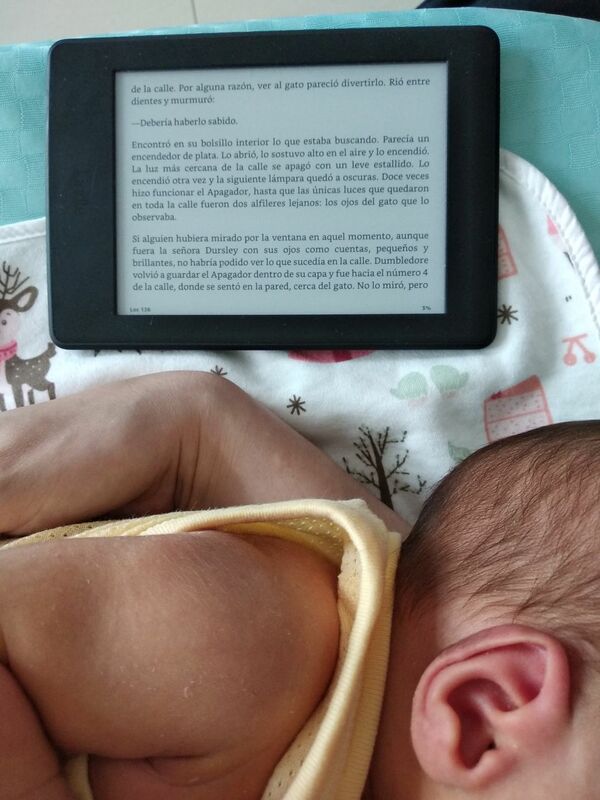 He is still an easy baby, although lately he cries a little bit more (it must be the 4th month leap) and stays awake for longer so I spend more time playing and reading to him. My MIL is still here when C. is working and that’s why I can still update the blog once in a while. I have been quite grumpy for several weeks because the air pollution was awful and we couldn’t go out, but luckily these last days have been better (fingers crossed it stays like this! I have to make the most of my last weeks of maternity leave!). The blog had more visits than last year, even though I published less posts. Like last year, the months with more views have been October, November and December, because it’s persimmon season and it’s when people start googling all kind of crazy persimmon beliefs. Seriously, it seems persimmon should be the number one cause of death worldwide. The search word which brought more visitors to my blog was… yes, persimmon. I should start a persimmon business or something. Regarding work, I feel like I didn’t have the chance to learn much this year as I was very not-busy. Perhaps next year will be a good moment to have a change in this regard. I used my free time to study an online course about video games localisation and now I am doing a short course on digital marketing in Coursera, watching the lesson videos when the baby is asleep (on me). We didn’t travel much these past months, but we managed to go to Malaysia at the beginning of my pregnancy and visited Kuala Lumpur and Melaka. It was nice to escape the cold for a few days, and we also met some friends there. 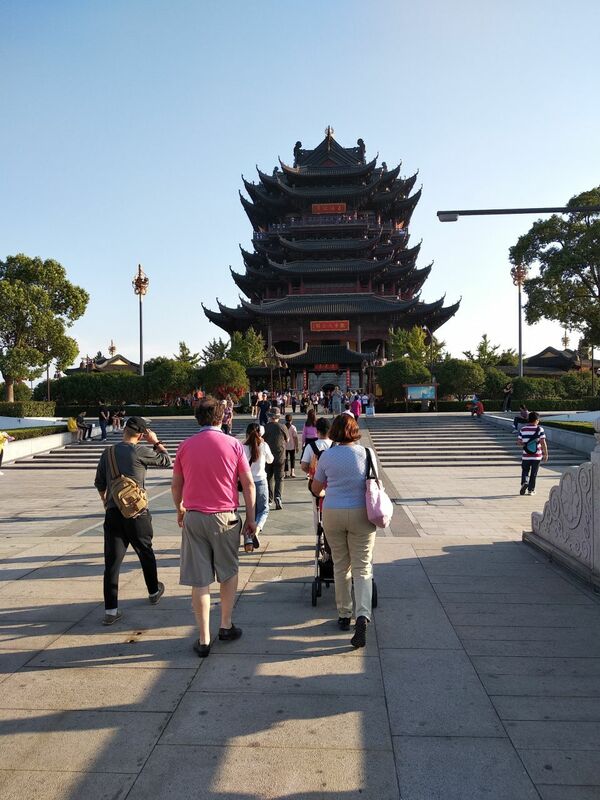 My family came to Suzhou in October to meet the baby and stayed with us for a couple of weeks. This year we added a new family member, but we also lost one: our beloved Nico passed away and left us very sad. Her ashes are now in the bookshelf next to her framed picture, while we decide what to do with them. What a great year you had, Marta! I really enjoyed this post! Thank you, Charmaine! Happy new year! I feel like I haven’t been busy at all, as all the “work” happened without me having to do anything, haha. I think you handled the year very well especially your pregnancy, Marta. I think since you have good health and a strong emotional state, no wonder you have done well in China. Wishing you and your family a Happy New Year and a great 2019! Do they do it on purpose so you don’t recover as fast and have to stay longer? Argh! Sounds reasonable. Although in the U.S. you can only stay for as many days as your insurance allows. changes in your life, but of course-onward and upward. Thank you, Kathryn! If I spend a few months without studying or reading something new I feel like my brain dries up, haha. BTW I love the drawing of the guitar you have in your website! Woah what a year! Wishing you a Happy 2019! I’m looking forward to when Baby A lets you blog more or lets you start a persimmon business or online persimmon game. Hi Marta…Happy NY to you and your family – keep up your great and amusing (ex boyfriend’s comment) posts. If you were male someone would say you are admirably strong minded, haha double standard! Doubt it Marta. Doubt it!! Nice post to round up 2018 😊. I’m here with a fighting 5 month old so I know how you feel. We always have to be within kicking distance or he’ll cause a scene. It’s so strange, he loves kicking us while he’s laying down and once we move away so his feet can’t touch us, he makes the loudest noise. Wow you’re doing a lot of reading! That’s my New Years resolution, to read more. I feel like when baby sleeps, it’s the only chance I get to do the mundane things like shower, eat, read some news etc. Never mind reading books lol. Hopefully 2019 will be different. Hello ! I just want to say that I really love to read your posts ! I wanted to know more about China with an authentic view and your blog is perfect for that :D besides, you’re pretty funny hehe ! I hope you keep writing and have a nice day ! I’m sorry to see you’ve gone though hardships this previous year so may 2019 be easier on you and best wishes ! + good luck with your baby ! Thanks a lot, Jess! Hope Boss Baby allows me to keep writing hehe. I have really enjoyed reading about your adventures this year. Hope 2019 is an even better one! Thank you, Katie! Happy new year! Happy New Year Marta! Wishing you and your family the best! Sounds like all is well going with the baby–and 2018 was a year of much change for you (in a good way!). And that persimmon thing lol… The weird search words that work, eh? Thank you, Mary, and happy new year to you too! Hope your job leaves you a bit more of free time this year! What a great year ! I hope you and your family have a great new year, wish you all the health, wealth and happiness ! Haha, I’m glad I could inspire you to write your post! Happy new year to you too! Congratulations and good to know that you had a good year. Wishing you more happiness.